Nowadays is quite easy for people to connect with each other. 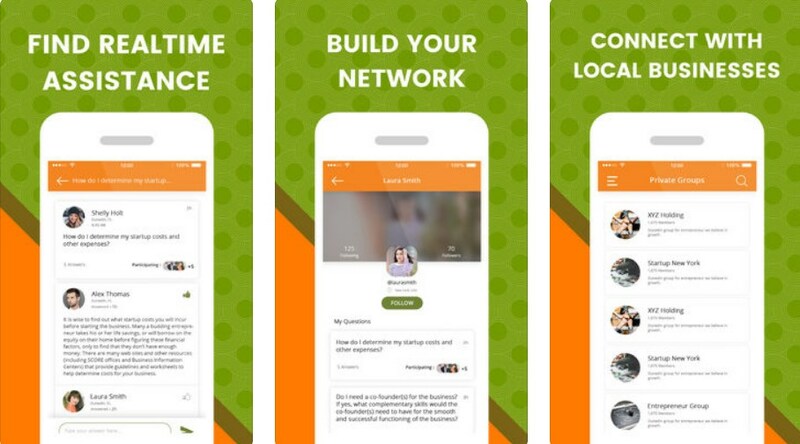 When it comes to businesses and business owners, there are apps specially developed to help them connect with local businesses in their community, to get the assistance they need and stay engaged. Many of these apps are created but not every one of them offers all the features you need. To make the search easier, we did our research and found a great business app with all the features you need. Let’s discuss it. What is so special about this business app? Developed for IOS and Android users, Startup Space is a business platform for engaging with local businesses in the community, offers users easy way to stay engaged and find real-time assistance to connect with local businesses in the area to ask their questions and get the answers needed from experts or simply to answer questions posted by other peers to help. The app offers users a chance to use a free version and a paid subscription which offers more of these informative and helpful features. What are the best features of Startup Space? The Startup Space is offering all the users features that will help them to stay engaged with local business information in their community. On the app, all the user needs to do is to create his account in order to get the real-time assistance to build his network and connect with local businesses in the community. The app’s free features offered allow each user a chance to ask questions he needs an answer to in a public forum or just to answer the questions posted by peers that look for help. Users will stay engaged with local business information at any time. The app’s paid subscription offers more features to the user like asking questions and getting answers in real time from experts while they can join live town halls to learn from successful entrepreneurs available. The app’s paid features also offer the users to read articles, watch videos, use the app’s how-to manuals offered, to look up local resources while staying current with local news and joining private discussion boards too. Download the app on the App Store and Google Play for free to get help from business experts in real time!